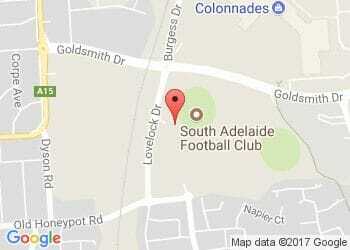 South Adelaide has appointed Mark Clayton as the Club's new Talent Manager and Centre of Excellence Under-18s coach. Clayton comes to Noarlunga with a wealth of SANFL experience, having enjoyed an 11-year playing career with the Port Adelaide Football Club and been at the helm of the Magpies Under-18s and Academy/Reserves programs in recent years. "When we became aware that Tony Bamford was moving to the SANFL, Mark was someone we were really keen to speak to," said South Adelaide Chief Executive Officer, Neill Sharpe. "He's highly regarded in the SANFL for his development and coaching of young footballers. "He's also benefitted from being in an AFL environment for the past couple of years. "We are very confident Mark will continue to allow South Adelaide to deliver a very strong junior program that the southern region's youth will aspire to be a part of." The role of Talent Manager at South Adelaide is responsible for implementing a high performance environment that contributes to the development of talent footballers throughout the South Adelaide zone. The role oversees and manages the South Adelaide Football Club Centre of Excellence Under-18 and Under-16 teams, Development Squads and youth girls programs.